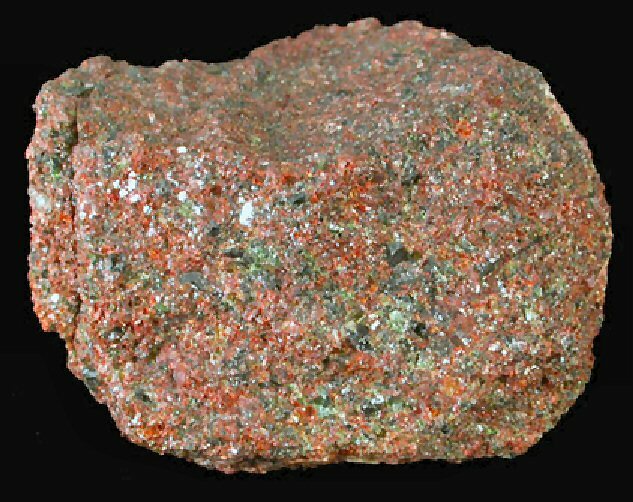 Comments: Red iddingsite with green olivine. Iddingsite alteration of olivine commonly seen in thin-sections is actually a fine-grained mixture of goethite+quartz+chlorite. Location: Amboy, San Bernadino County, California, USA. Scale: Specimen Size 5x5x3 cm.